When the French writer Stendhal did his tour of Italy around the 1820s, it took him five days to travel from Florence to Rome on a horse carriage. Today the same journey takes about three hours by car or half that time by train. The two cities are geographically very close, and yet we can still feel that a mere 200 hundred years ago, they were different countries. Florence seems austere compared to Rome. The Renaissance art there is magnificent, but mainly sheltered inside palaces and churches, which look quite bare on the outside. 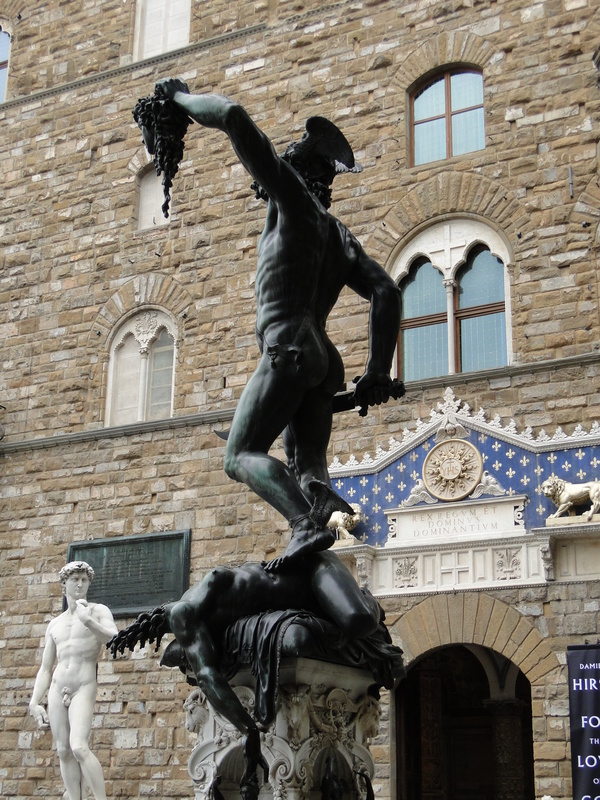 Piazza della Signoria, with its display of amazing 15th and 16th century sculptures, may be the one exception. The city is very medieval compared to Rome, with its narrow streets and tall stone palaces and towers. I find it particularly pleasant to visit in winter, when the streets, churches and palaces are practically empty, all to ourselves. Coming back to Rome after a two day trip to Florence, I realised how bright and uplifting the eternal city is, in spite of the daily struggle of living there….Rome appears glorious; it was after all built for the glory of the Roman Empire and then the Church. Being in a somewhat austere Florence made me miss that side of Rome, the feeling that sunshine, even metaphorically speaking, is never too far away. 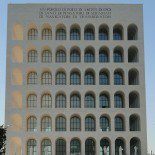 This entry was posted on February 14, 2011 by Salambo in Daily life in Rome, English, Travel outside Rome and tagged art, baroque, churches, FLorence, museums, renaissance, Rome, Tuscany.